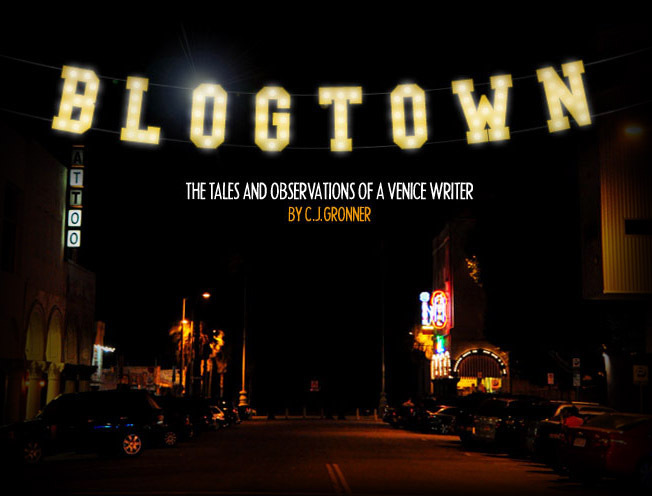 Blogtown: Defend Venice - Happy 110th! As we prepare to celebrate our Independence as a country all long weekend long, let's not forget that it is also the 110th birthday of our Venice on July 4th. This is a great time to spend enjoying all the things that make Abbot Kinney's dream town such a wonderful place to live and visit. Go to the beach, hit the skatepark, stroll the canals, surf the Breakwater, cruise the Boardwalk, check out the murals, visit the galleries, support your local businesses ... just appreciate the bejesus out of it. Love it. Because then it will really make you want to defend it. It's not the first time in its history that Venice has had to face down corporate and foreign money, or the rapid encroachment of chains and those days' hipsters. It's always been a challenge, but a challenge that has always been met with defiance and passion. The photo above is from the archives of The Free Venice Beachhead. Bulldozers were coming to tear down another beloved house and the tree in front of it, and that dude was not having it. Nor should we. Defend your Venice. Celebrate your Venice. Wish it at least another 110 years of being a home for all of us who don't want to be like everyone and everywhere else. Above all, have FUN while you're doing it! Happy 110th Birthday, Venice! We sure do love you.